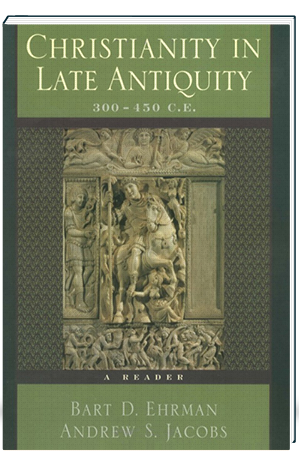 Christianity in Late Antiquity, 300-450 C.E. : A Reader collects primary sources of the early Christian world, from the last “Great Persecution” under the Emperor Diocletian to the Council of Chalcedon in the mid-fifth century. During this period Christianity rose to prominence in the Roman Empire, developed new notions of sanctity and heresy, and spread beyond the Mediterranean world. This reader incorporates standard texts–from authors such as Athanasius, Augustine, and Eusebius–in the most recent translations and also includes less familiar texts, some of which appear in English translation for the first time. Presented in their entirety or in long excerpts, the texts are arranged thematically and cover such topics as orthodoxy, conversion, asceticism, and art and architecture. The editors provide introductions for each chapter, text, and image, situating the selections historically, geographically, and intellectually. 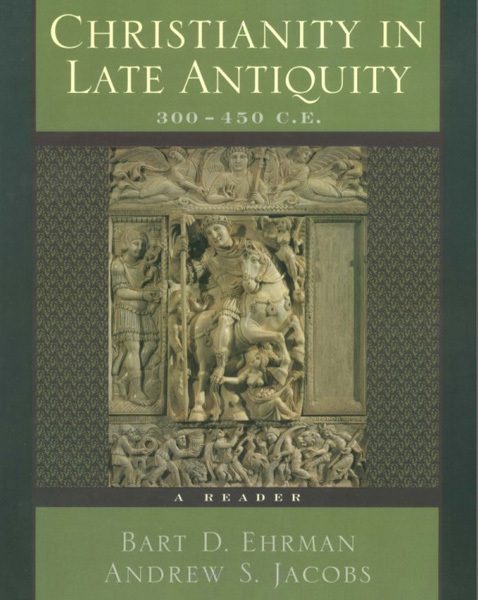 Christianity in Late Antiquity, 300-450 C.E. : A Reader highlights the ways in which religion and culture were mutually transformed during this crucial historical period. Ideal for courses in Early Christianity, Christianity in Late Antiquity, and History of Christianity, this reader is an excellent companion to Bart D. Ehrman’s After the New Testament (OUP, 1998) and an exceptional resource for scholars.